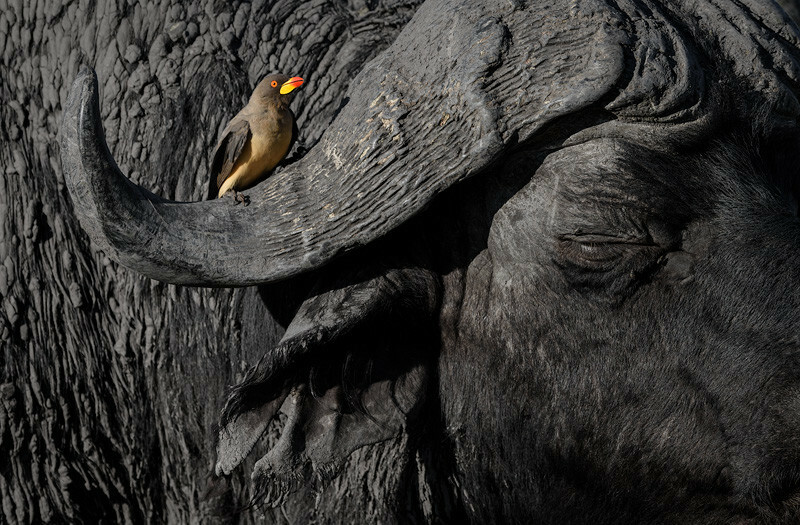 An oxpecker sits on the horn of an African buffalo. Okavango Delta, Botswana. Winner in the international bird photography competition ‘Festival de l’oiseau et de la nature’ in France.